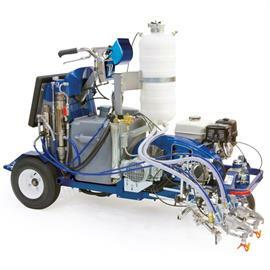 The GRACO LineLazer V 250DC redefined the productivity and flexibility of line marking. This allows to apply two different colors with a width of up to 90 cm to be sprayed simultaneously. Also with automatic line/gap automatic.